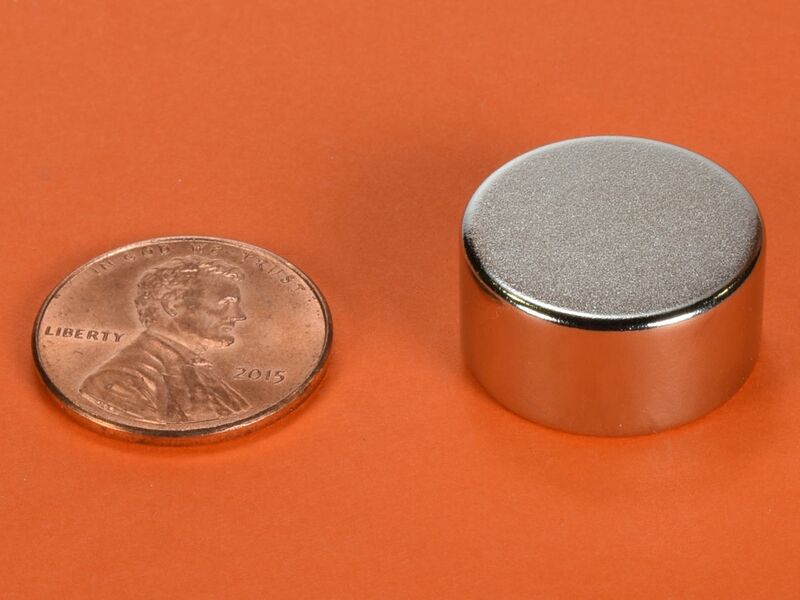 One of these hefty 3/4" neo disc magnets will easily hold over 20 lbs of metal as seen in the picture to the left. The DC6 should not to be taken lightly. 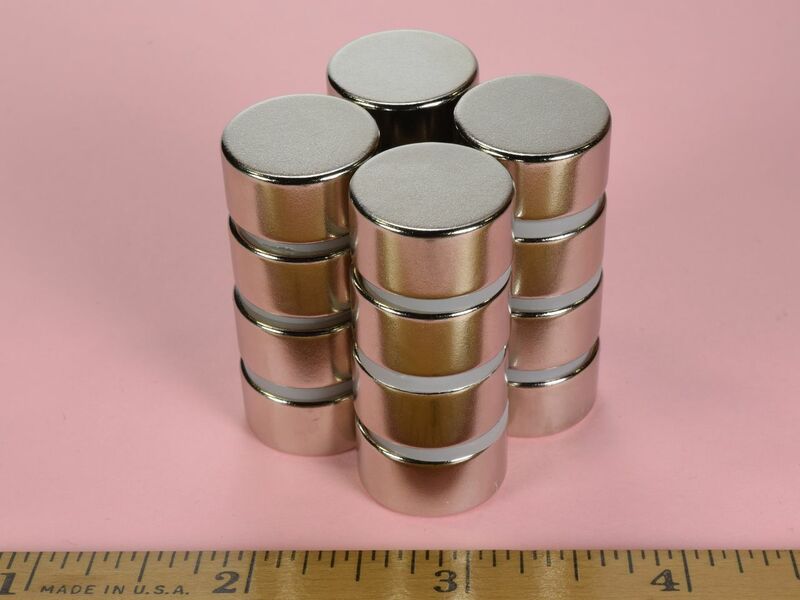 These magnets will pinch hard if mishandled. 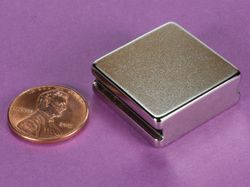 Great medium sized NdFeB magnet with a lot of power. 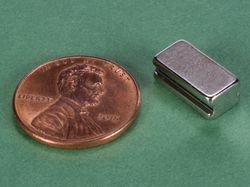 This size is also available diametrically magnetized as part number DC6DIA and in Grade N52 with a Black Nickel plating as part number DC6B-N52.